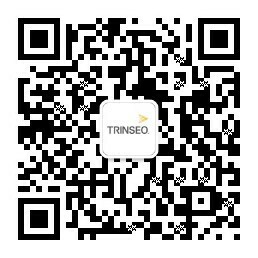 Trinseo, (NYSE: TSE) a global materials solutions provider and manufacturer of plastics, latex binders and synthetic rubber, will exhibit its varied portfolio and proven expertise in lightweight exterior applications at the Plastics and Rubber in Automotive Conference 2019. The event, consisting of two simultaneously held conferences, will take place from January 14-15, 2019 at the Suburban Collection Showcase in Novi, Michigan. Specifically, two of Trinseo’s materials will represent the performance of the company’s extensive portfolio: ENLITE™ PP-LGF Structural Polymers, which allow up to 50 percent lighter parts through metal replacement, and PULSE™ XT Series Engineering Resins, which include PC/ABS blends with high ductility and easy flow allowing for greater design freedom, optimized wall thickness, and better economics. The resins are suitable for premium-quality painted components and meet the needs of exterior heat resistance and durability. The significant low density of these materials versus competitive PC blend materials, supports mass reduction resulting in lighter exterior parts, such as roof rails and roof trim applications. Trinseo’s innovative products were recently recognized at the 48th Annual SPE Automotive Innovation Awards Competition & Gala in Detroit, on November 7, 2018. Fiat Chrysler Automobiles (FCA) was honored with an award in the ‘Body Exterior’ category, for the thermoplastic liftgate on its 2019 Jeep Cherokee. Trinseo is proud to have contributed to this success with its Polypropylene Long Glass Fiber (PP LGF) material, DLGF 9411. “As a leading global partner for cost efficiency and lightweighting in automotive applications, car manufacturers and automotive suppliers trust our innovative materials for exterior applications. They especially value our customer-centric approach, as we understand that each application is different, and requires careful consideration in order to meet customers’ needs and help them overcome their challenges”, said Jim Otis, Commercial Director Automotive for North America at Trinseo.